Since in the last entry I promised that I am going to talk about the comparison between the fixed point method and the projected gradient method I will dwell on this. But first of all, let me show you some of these magnificent places where we have been to during the last few weeks. 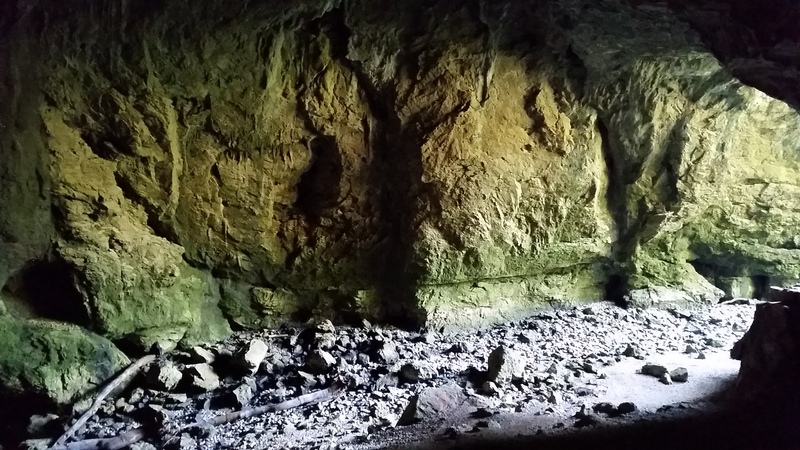 Besides probably the most famous cave in Slovenia (Postojna cave) we also visited a few smaller and less known caves, e.g. in Rak Skocjan, which were all very interesting. 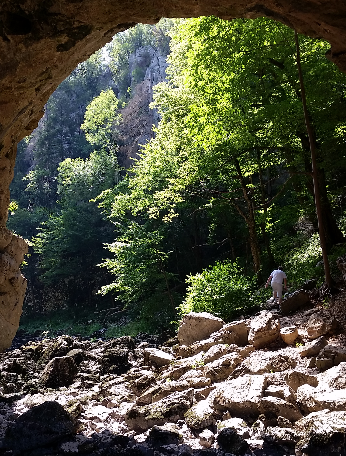 In fact, Rak Skocjan is the oldest landscape park in Slovenia and it is basically a valley which is enclosed on all sides by cliffs. 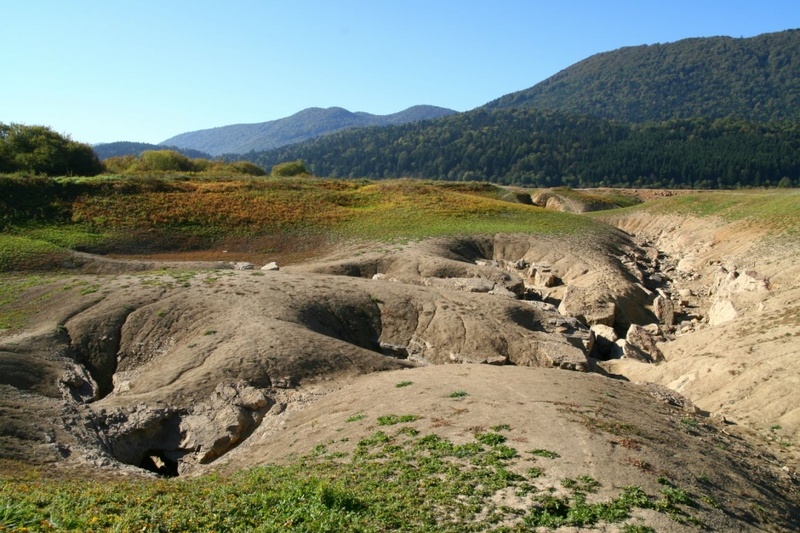 Another impressive place that we have inspected was Lake Cerknica which is an intermittent lake. During the winter it turns into the largest lake in Slovenia but during the summer it totally dries out. Luckily, we attended the lake early enough, so we could still find a part that even allowed us to swim. At this point I want to thank our supervisor Leon Kos who brought us to these hidden places with his car! 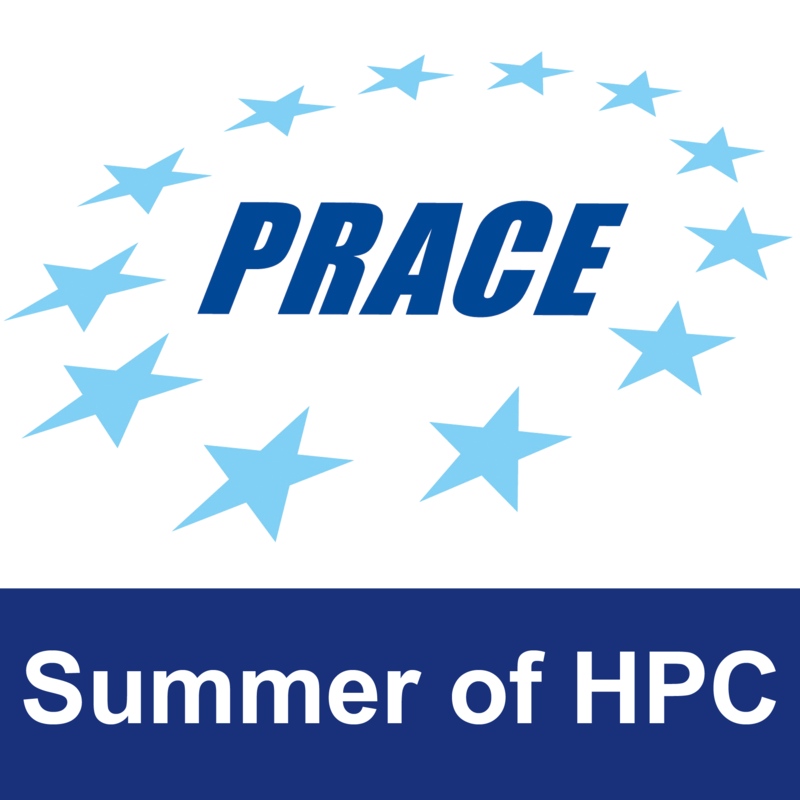 In my last blog entry I briefly introduced the topic of the project. After fixing some bugs of the fixed point method implementation, it is now possible to compare the results with the projected gradient method. In particular, one could have a look at the quality measure RSE again in order to observe a difference in the behaviour of convergency. For this purpose, I created a randomly chosen test case and ran 500 iterations for both methods. In the following figure you can see that the fixed point method converges much slower to the solution than the projected gradient method. 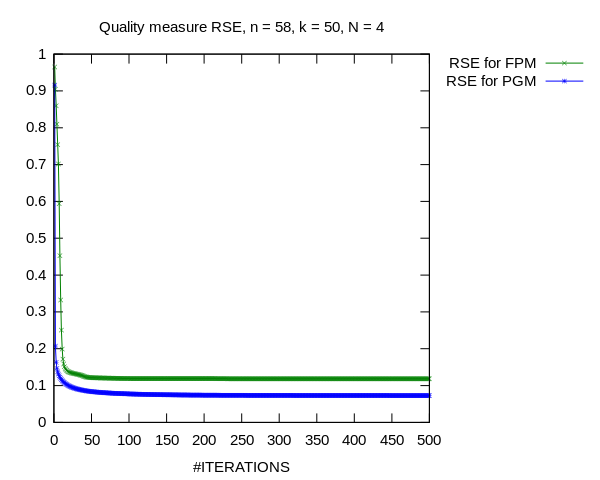 Nevertheless, for the PGM we measured a noticable larger execution time. This can be justified with the rather expensive computation of a step size in each iteration that leads to accurate results. How much faster the fixed point method compared to the projected gradient method is will be clarified in the next post where I will come up with some benchmarks.